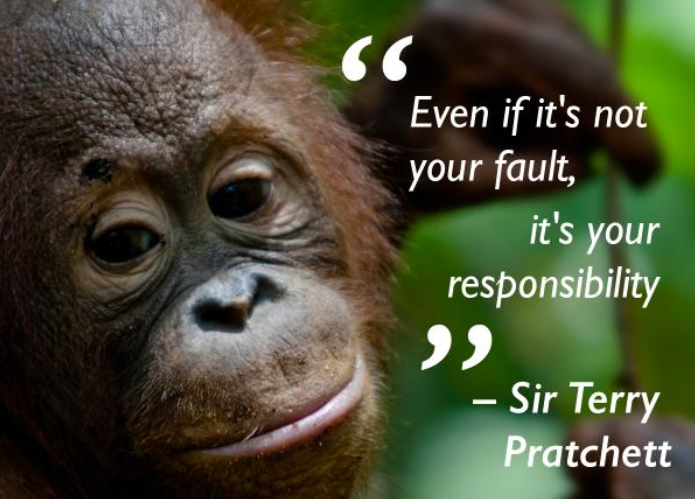 I’ve just read this quote from the great, and now late, Terry Pratchett, hilarious author and committed environmentalist (it’s courtesy of a Nia’s Friends Facebook post – see their great website here: Breaking The Brand). “Even if it’s not your fault, it’s your responsibility”. Now, that may be a loaded statement for many people, but it’s worth having a gentle think about it, rather than blustering that of course it’s not your fault and why should you be the one to do something about it?! Why indeed? Well, possibly because you are a nice, responsible person – someone who has ethics, morals, all that jazz. And maybe because you also have a nice life with a reasonable income, a place to live, food in your belly, and freedom from war and/or repression, and you are in a position to do something that’s simple yet responsible. I truly believe that if you have the opportunity to do something good, nice, or responsible, then you should just go ahead and do it. I’m not talking about going all out and donating half your income to charity, or taking in homeless people whom you meet on the street, or heading overseas for a year to work for nothing in a third world country (but by all means, if you want to, and can, then do it!). Sometimes it’s just the little things that count. Now, there’s bigger issues out there, but I’m going to use rubbish just as an example, so please humour me! It’s a tiny thing, but if you see a piece of rubbish on the street, what would you do about it? Especially if it’s something plastic that’s about to head down the gutter, then down a drain, and therefore into the waterways and eventually to the ocean (as is typical in most Australian cities anywhere near the coast – which is the majority of our cities!). It frustrates me to hear people who say, ‘I didn’t drop it, why should I bother? It won’t matter if I don’t pick up that little piece of rubbish’. Or worse: ‘It doesn’t matter if I drop that rubbish, it’s just one little piece.’ Or, as many of us feel, ‘I’m just one person, I can’t do anything about the overwhelming tide of environmental destruction out there’. Imagine if the majority of people thought that way – we would have a cleaner world in no time! And those people would in turn not toss rubbish away, or they would find a way not to produce the rubbish in the first place, since they don’t want to have to pick it up constantly. 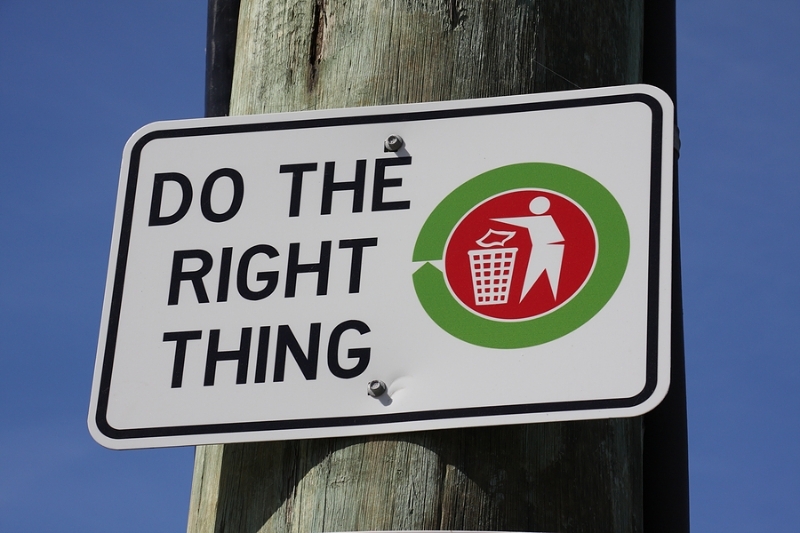 So next time you’re not in the mood to find a secure bin for your burger wrapper, or you see an empty can in a gutter, maybe just consider it in a different light: you are just one person, but you could be one of many who just do the right thing. This entry was posted in Environment and tagged Cleaner world, Cleaning up rubbish, Doing the right thing, Environmental concerns, Responsibility, Simple solutions, Terry Pratchett. Bookmark the permalink.